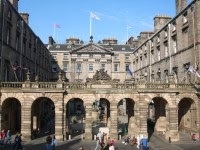 UNISON and the other public sector trade unions representing City of Edinburgh Council staff have welcomed the council’s decision to pay for retrospective ‘Protection of Vulnerable Groups’ checking. “This has been a great success for the unions”, said Tom Connolly, staff side secretary. “It will be a major project for the council to complete the required retrospective registration process by the target date of October 2015. This will mean that different sections of staff will participate in the process at different times, this is to ensure that the staff administering the process are able to do so effectively.